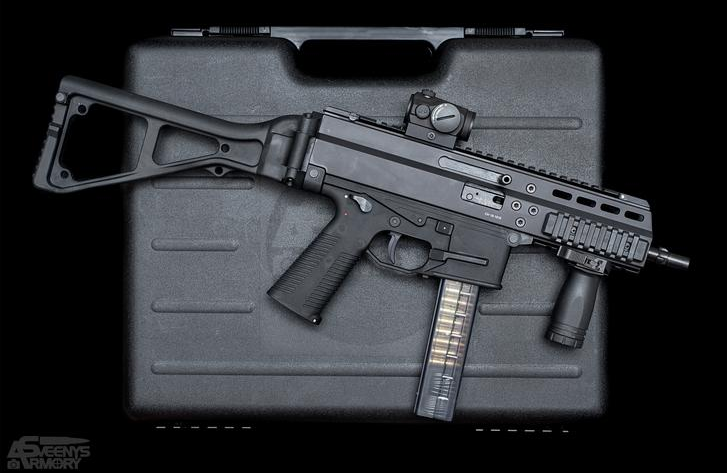 The American subsidiary of Swiss gunmaker B&T has won a multi-million-dollar contract to supply the U.S. Army with a variant of its 9mm APC9 submachine gun. For almost a year, the service has been evaluating a number of proposed weapons as part of an effort to give personal security details added firepower. The Army quietly announced that it had awarded B&T USA the deal, worth more than $2.5 million, on the U.S. government’s main contracting website FedBizOpps on Mar. 29, 2019, but did not specify which weapon specifically it was buying. A trusted source familiar with the contract confirmed the gun in question was a version of the APC9 PRO series, but could not say which model specifically. The Army now expects to purchase at least 350 of what it officially calls the Sub Compact Weapon, or SCW, with additional options to buy up to 1,000 of the guns in total.